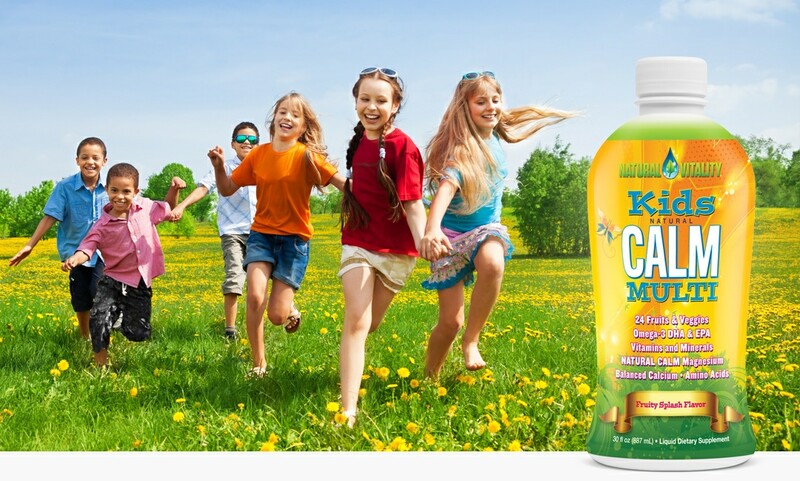 Do kids need to supplement? The short answer: YES. Supplements fill in the gaps and fine-tune even healthy diets. Perfection isn’t possible, but top supplements can support calm immunity and overall good health. Here are four that you can consider giving to your kids. For more kids’ health and back-to-school advice and tips, download our free eGuide: Calmful Back-to-School. Low levels of magnesium, also known as the calming mineral, are associated with anxiety and irritability. But magnesium helps in many other ways than that. Every living cell on Earth needs magnesium. This essential mineral lets us move, breathe, think, sleep, walk, run, dance, see, hear, and so much more. Magnesium also helps to deliver calcium to the bones and is much harder for kids to get from their diets than calcium, especially in teens and younger adults. Research shows that 68 to 89 percent of teens don’t get enough magnesium. Magnesium intake and absorption strongly correlates with bone mineral content and density. Natural Calm is the best-selling magnesium supplement in the natural market and is a perennial Delicious Living Supplement Award winner. To shore up kids’ diets during back-to-school time, look for a multi designed specifically for children. Delicious Living Supplement Award winner Kids Natural Calm Multi is unique in that it contains daily doses of magnesium, calcium, omega-3s, other vitamins and minerals and 24 organic fruits and veggies. It’s in a liquid form for easy assimilation and can be taken by itself or mixed with juice.